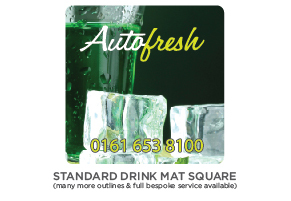 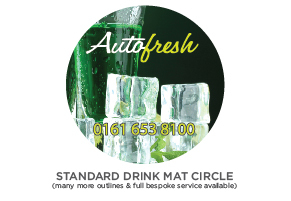 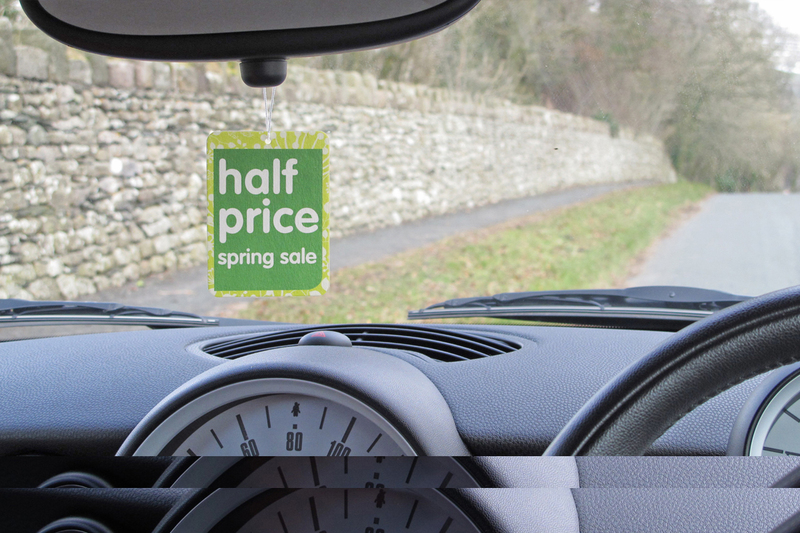 Why choose an air freshener or beer mat for your next promotion? 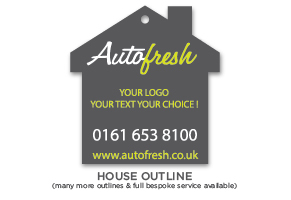 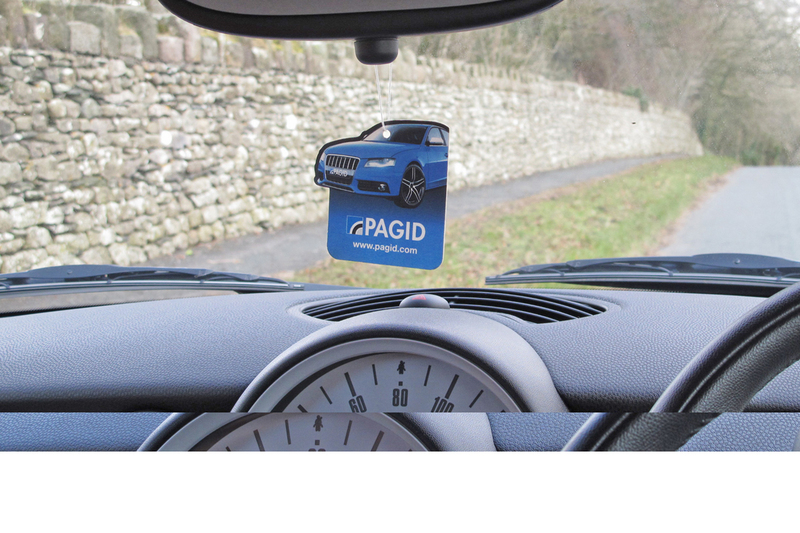 Whether you're looking for a high impact promotion or a subtle reminder, or whether you simply want your contact details to be at hand, air fresheners offer an in-expensive yet extremely effective solution and remember air fresheners are light in weight making them ideal and cost effective for mail shots! 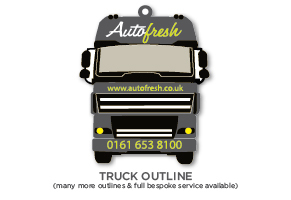 Everbody has already tried, mugs and t- shirts, it's time for a fresh approach! 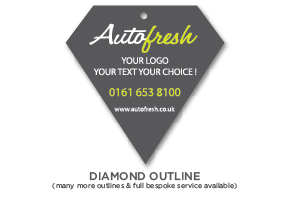 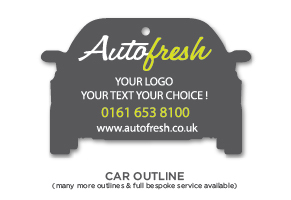 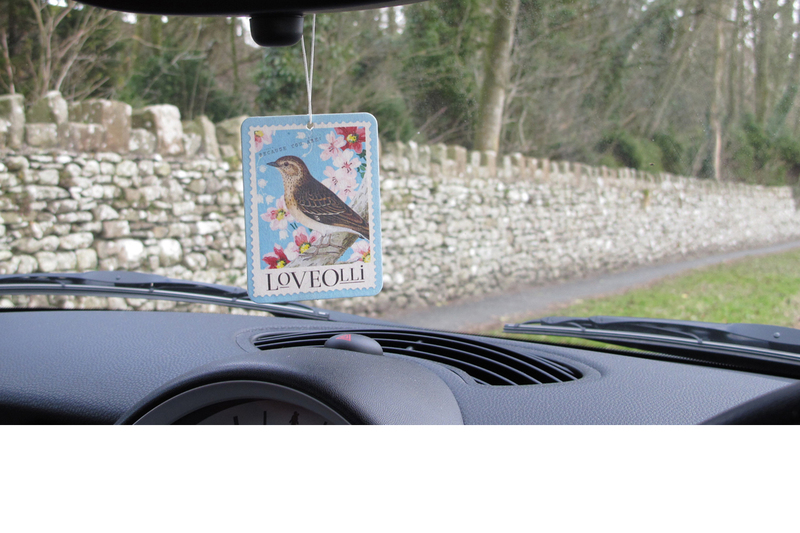 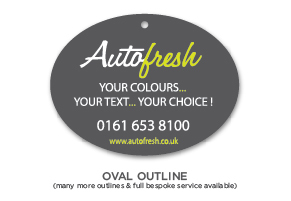 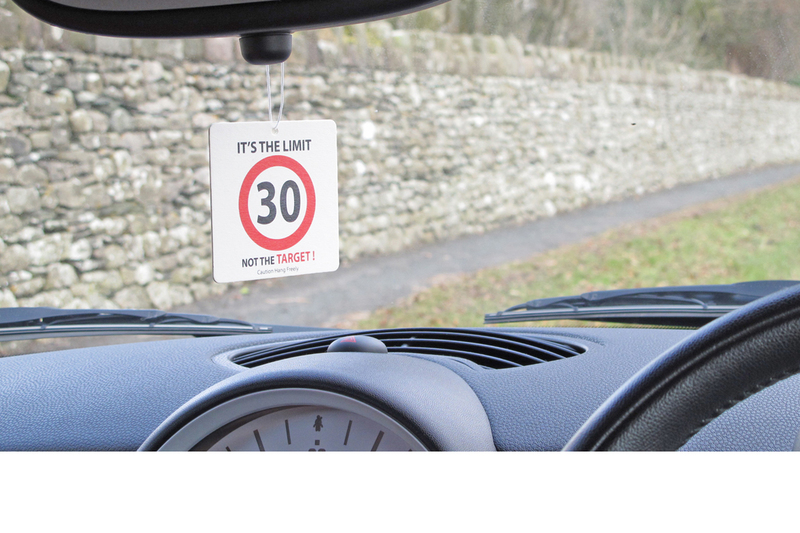 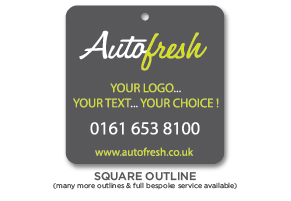 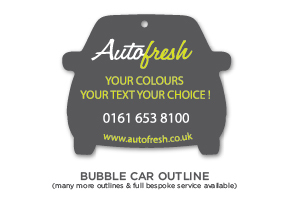 We can produce an in-car freshener in any size and shape, in spot colours or full colour and fragrances of your choice - this allows us to manufacture a unique air freshener to suit every requirement. 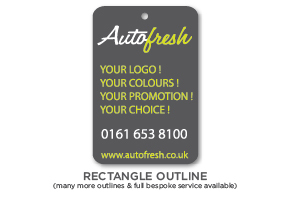 With the option of any shapes and sizes we can mimic silhouettes of products, logos, equipment, vehicles etc, altogether making your design visually noticeable from all angles and distances. 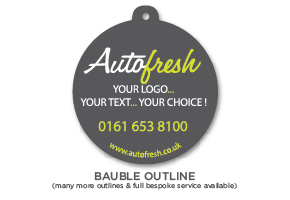 With the options of any printed colours we can produce company emblems and details, print messages and promotions, images, duo-tones, pictures etc. 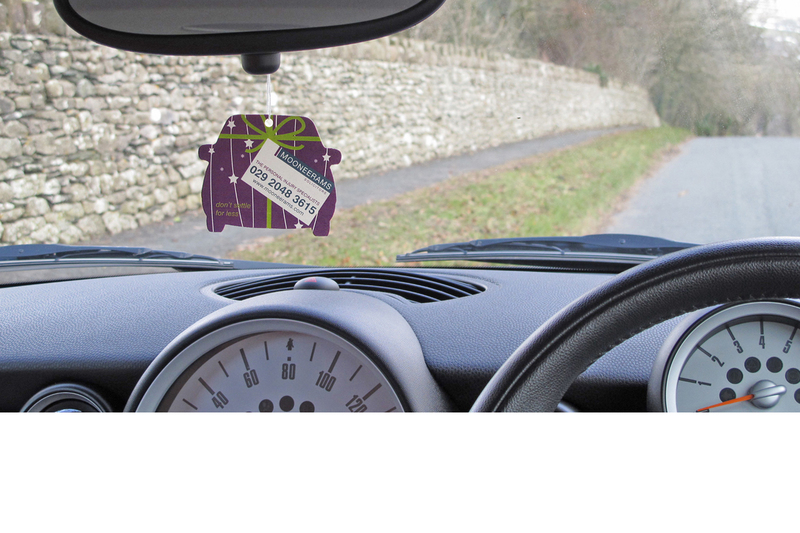 We will make your air freshener as unique as you want it. 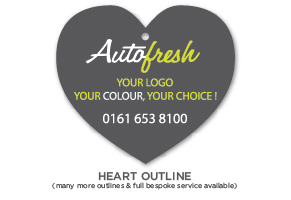 We have capabilities to replicate any fragrance, meaning that we will custom make a scent to suit your requirements, alternatively we have a vast standard range available and will allow you to mix your scents throughout your order - again its up to you.